I enjoy doing races and obstacle courses to challenge myself physically and mentally. 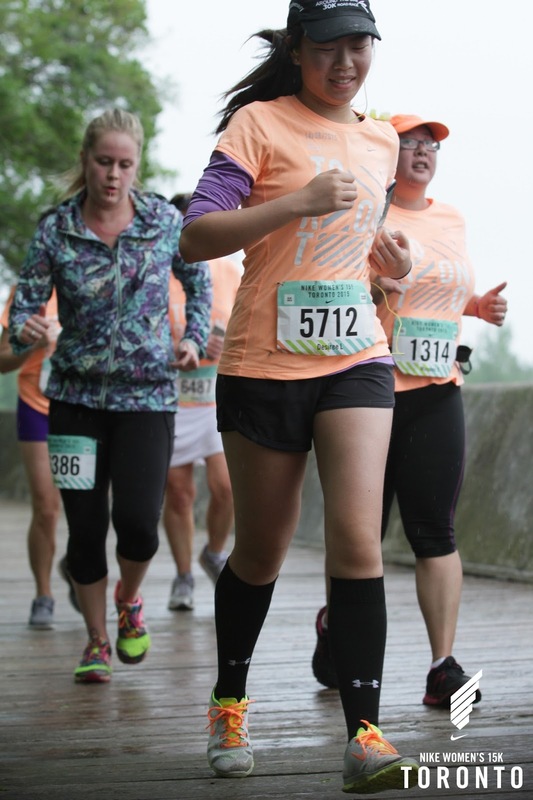 The Nike Women's 15K was the longest run I've participated in and I had a blast doing it! 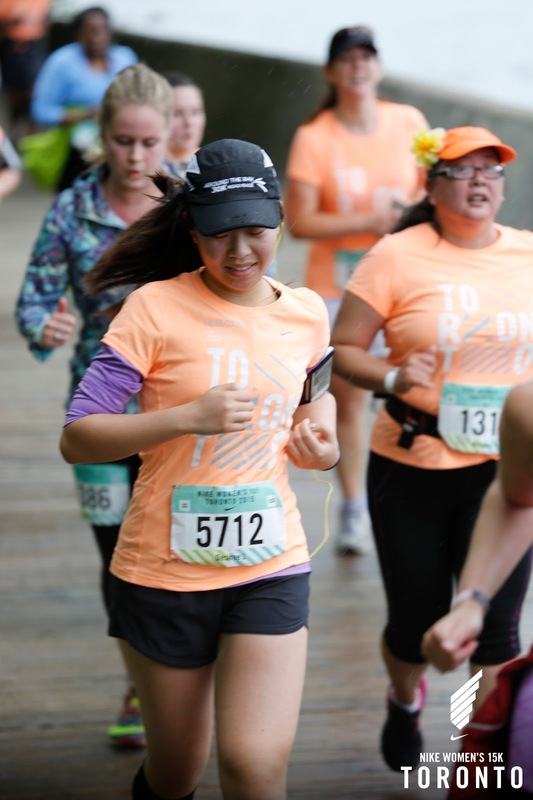 The Nike Women's 15K was set on Centre Island in Toronto. It was a part of a global Nike Women's running series and this was the very first time that it was held in Canada. It was such a success: well organized, amazing marketing, and great spirit from the staff. I'm sure the race will be held annually after this, especially when over 10,000 women have trained and ran to push their limits together. The course was beautiful. 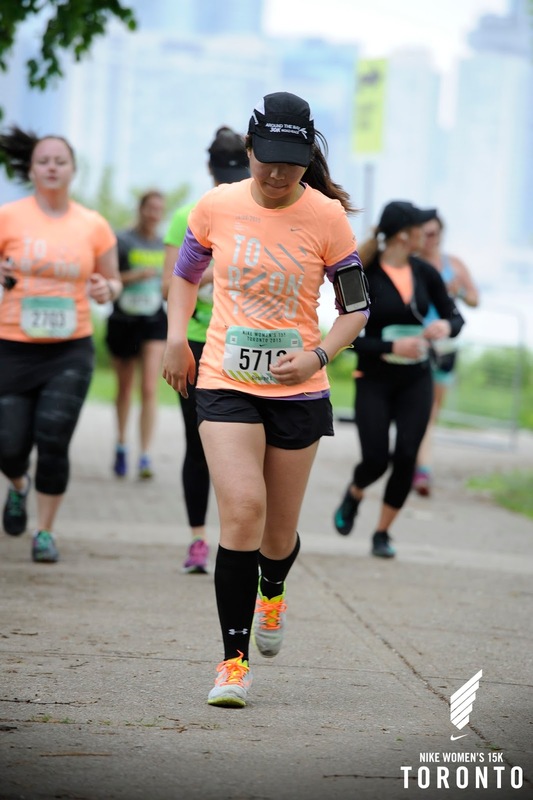 Set on Centre Island, you get to see the Downtown Toronto cityline, run through the beautiful woodsy area of the island, run down the length of the Billy Bishop Airport as airplanes fly and land by you, and see the calming view of the lake as you race down the boardwalk. 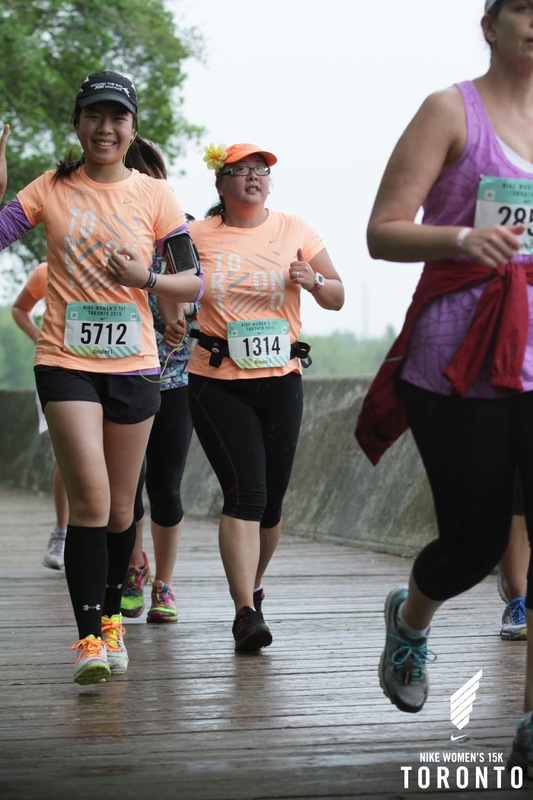 The rain was on and off, but it felt good because there wasn't a blazing sun beating down as we ran. What was the finisher prize? A Tiffany & Co. necklace! <3 The pendant is personalized for this city and race. It will probably be the first and last blue box that I will have. For the cost I paid to enter this race and the 15K of sweat and tears, I'd say it's worth it. Am I going to this again? Oh yea for sure. Next year's goal will be to beat this year's time. Drummers playing a sick beat. The Tiffany & Co. finisher prize! My name is Desiree and I'm from Toronto, Canada. Welcome to my creative space! This is my avenue to share about the things I love: beauty, fashion, home, and lifestyle. I hope you stick around and experience the joys of life with me! © 2017, Desiree Law. Powered by Blogger.